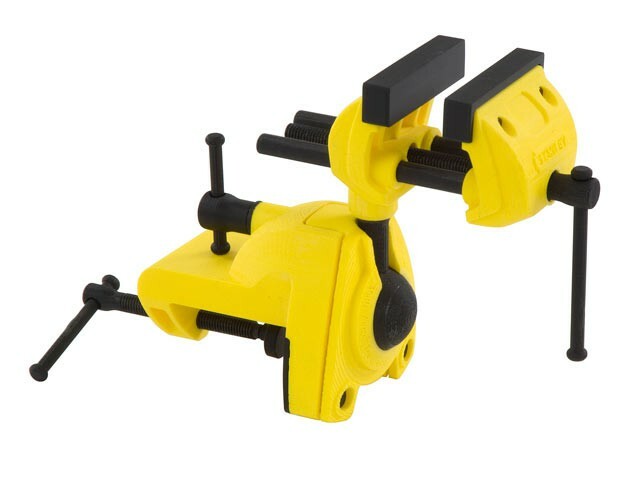 The Stanley multi-angle hobby vice features a patented ball joint which allows you to rotate your project a full 360° and lock it at any angle. Multiple positions for convenience and easier access. 3in jaw opening holds a wide range of items. Removable rubber jaw covers a wide range of applications for protecting delicate finishes. The large C-clamp mount attaches to work surfaces up to 2.3/8in thick - also suitable for heavy-duty applications.